The Difference Engine is a novel by William Gibson and Bruce Sterling from 1990. The basic premise is that in the middle of the 19th Century Britain Charles Babbage‘s mechanical computers (the Difference Engine and Analytical Engine) powered by steam have reached a level of sophistication approaching the early days of electronic computers of the 20th Century. For instance, mechanical computers store information about everyone, and the “kinotrope” is a kind of mechanical pixel-based cinema. 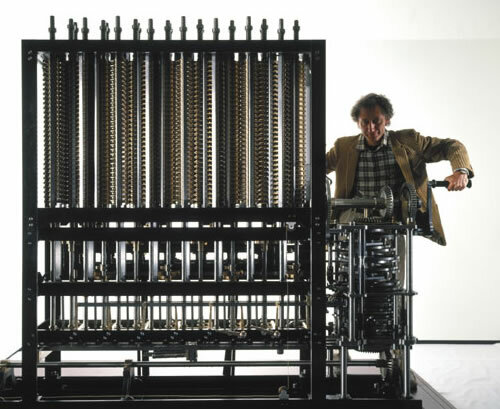 In reality, Babbage himself never built a Difference Engine or Analytical Engine. (The Difference Engine was built by others later. The Analytical Engine, more of a general purpose computer than the Difference Engine, was far too complicated and expensive to be built at the time). The traditional aristocracy has been overthrown and society is now lead by the technological elites, including Babbage himself. In spite of the interesting premise, I struggled to finish the novel; it truly is an awful read and I agree with most of the 1 star comments on Amazon. My favorite is the one that begins: “Loathing…. unadulturated loathing… ….I loathe it all!” Many of the reviews point to problems with the structure of the book such as the characters and story element that appear and disappear, the disjointed narrative, the lack of any real central plot. Granted, these elements could underlie a sophisticated post-modern novel in the style of Borges or Calvino, for example, but in the hands of Gibson and Sterling it just creates a really awful novel. But what I really want to focus on is the ideology inherent in the novel. 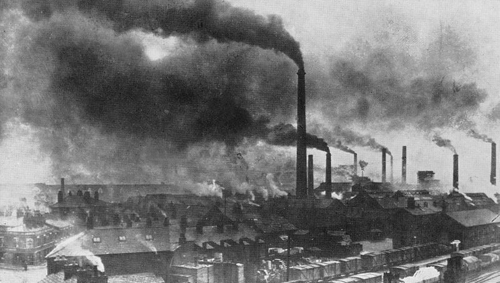 During much of the novel, London is plagued by pollution, presumably due to the steam-powered computers, although this is never explicitly stated. Anti-technological anarchist Post-luddites roam the streets, occupy various sites of power, and set up autonomous collectives – it is hard to avoid comparisons to the Occupy Movement. These occupiers are anti-technology (or at least the technology foisted on them by the elites), and anti-capitalist. But the book is not a critique of technology and capitalism; in fact, iit is more of a celebration of them. I found this inexplicable and frustrating. None of the occupiers are treated with any sensitivity or depth; this is reserved for members of the technological elites, including Mallory, a paleontologist who wanders aimlessly around London running into occupiers and recoiling in horror. In the end, order is returned and Mallory embarks on another fossil-finding expedition (but who cares?). In the end, the underclass are brutally suppressed by the army and technology and capitalism triumph. The environmental armageddon caused by technology is magically remediated and capitalism marches on. It is the ideology of the writers for WIRED magazine and other technological boosters who believe technology is the savior of humanity, or at least of the elites. Capitalism would not exist without technological “progress” — just look at the business pages. Technology, in the sense of industrial-scale technology, demands the continued exploitation of people and the environment. In the Difference Engine, Sterling and Gibson are apologists and prophets of this brave new world — environment and occupiers be damned. This entry was posted in CAPITALISM, OCCUPY!. Bookmark the permalink.